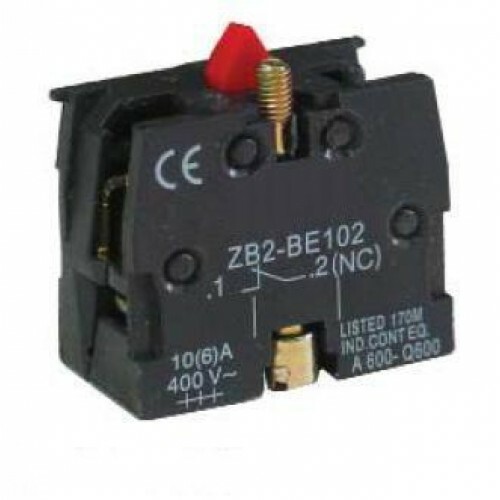 The ZB2-BE102 is a Normally Closed (NC) Contact Block for panel mounting push Button and Mushroom Emergency Switch. 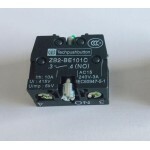 Along with Button It can be used to control the electromagnetic starter, contractor, relay and other automatic control electric circuits. 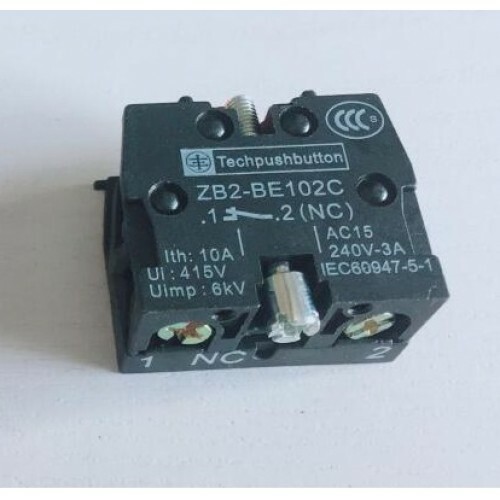 NOTE: Image is for reference only product image/color will change ratings will be the same.